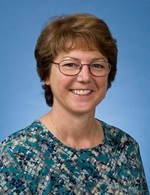 Kathleen Kelly is a Professor who joined the Department of Pathlogy and Lab Medicine in 1999. Dr. Kelly earned her B.S. in Medical Technology and PhD in Immunology at the Ohio State University in Columbus, Ohio. She was a postdoctoral fellow at Washington University in St. Louis, where she worked on the role of T cell subsets in germinal center formation. She then served as a junior faculty member in the Department of Microbiology and Immunology at the University of Arkansas for Medical Sciences. She focused on mucosal immunology and concentrated her studies on immune responses in the reproductive tract. Dr. Kelly is actively involved in graduate, undergraduate and medical student education. She is a recipient of the Young Scientist Award and past chair of the Immunology Division for the American Society of Microbiology. King M, Poya H, Rao J, Natarajan S, Butch AW, Aziz N, Kok S, Chang MH, Lyons JM, Ault K, Kelly KA CXCL13 expression in Chlamydia trachomatis infection of the female reproductive tract. Drugs Today (Barc). 2009; 45(Supplement B): 125-34. Moniz Raymond J, Chan Ann M, Kelly KAthleen A Identification of dendritic cell subsets responding to genital infection by Chlamydia muridarum.. FEMS immunology and medical microbiology. 2009; 55(2): 226-36. Abdul-Sater, A.A., Saïd-Sadier, N., Ojcius, D.M., Yimaz, Ö, Yimaz and Kelly K.A. Inflammasomes Bridge Signaling Between Pathogen Identification and the Immune Response. Drugs of Today 2009; 45: 96-104. Kelly KA, Wiley, D, Butch, A, Wiesmeier, E, Briskin, M and Darville, T. The combination of ?4?7 and selectin ligand enhances T cell migration to the reproductive tract during bacterial infection. . Am J Reprod Immunol. 2009; 6: 446-452. Kelly, KA, Chan, A.M., Butch, A.W. and Darville, T. Two different homing pathways involving integrin ?7 and E-selectin significantly influence trafficking of CD4 cells to the genital tract following C. muridarum infection. . Am J Reprod Immunol. 2009; 61(6): 438-445. Liu, W. Kelly, K.A. Prostaglandin E2 modulates dendritic cell function during chlamydial genital infection. Immunology. 2008; 123(2): 290-303. Kaori Shimazaki, Ann M. Chan, Raymond J. Moniz, Eric M. Lepin, Agnes Nagy, Paige Coulum, Sergey Mareninov, James D. Marks, Anna M. Wu, Kathleen A. Kelly, Jonathan Braun and Lynn K. Gordon. Blockade of epithelial membrane protein 2 (EMP2) abrogates infection of Chlamydia muridarum (MoPn) murine genital infection model. FEMS Immunol Med Microbiol. 2008; 1574-695X. Raymond J. Moniz, Chan, A.M. and Kelly, K. Identification of dendritic cell subsets responding to genital infection by Chlamydia trachomatis. FEMS Immunol Med Microbiol. 2008; 1574-695X. Kaori, S. Wadehra, M, Forbes, A., Kelly K.A., Goodglick, L., Braun, J. and Gordo, L.K. Epithelial membrane protein 2 modulates infectivity of Chlamydia muridarum (MoPn).. Microbes Infect. 2007; 9: 1003-1010. Liu, W. and Kelly K.A. Postaglandin E2 modulates dendritic cell function during chlamydial genital infection. . Immunology 2007; 123: 1365-2567. Liu, W. Dubinett, S. Patterson, S. L. Kelly, K.A. COX-2 inhibition affects growth rate of Chlamydia muridarum within epithelial cells. Microbes Infect. 2006; 8(2): 478-86. Kelly K.A. Chapter 19:T lymphocyte trafficking to the female reproductive mucosae. In Chlamydia: Genomics, Pathogenesis and Implications for Control. Horizon Scientific Press, Norwick, UK.. 2006; 413-433. Kelly K.A. and Butch, A.W. Localization of antigen-specific IgE+ cells within germinal centers in a primary immune response to 2-phenyloxazolone.. Immunology 2006; 120: 346-353. Welter-Stahl, L, Ojcius, D.M. Viala, J. Girardin, S. Liu, W, Delarbre, C. Philpott, D. Kelly K.A. Darville, T. Stimulation of the cytosolic receptor for peptidoglycan, Nod1, by infection with Chlamydia trachomatis or Chlamydia muridarum. Cell Microbiol. 2006; 8: 1047-57. Maxion, H. K. Liu, W. Chang, M. H. Kelly, K.A. The infecting dose of Chlamydia muridarum modulates the innate immune response and ascending infection. Infect Immun. 2004; 72(11): 6330-40. Kelly, K.A. Cellular immunity and Chlamydia genital infection: induction, recruitment, and effector mechanisms. Int Rev Immunol. 2003; 22(1): 3-41. Maxion, H. K. Kelly, K.A. Chemokine expression patterns differ within anatomically distinct regions of the genital tract during Chlamydia trachomatis infection. Infect Immun. 2002; 70(3): 1538-46. Hawkins, R.A., Rank, R.G. and Kelly, K.A A Chlamydia-specific Th2 clone induces antibody production but not protection against a genital infection.. Infection and Immunity 2002; 70: 5132-5139. Maxion, H.K. and Kelly, K.A Differential chemokine expression in distinct regions of the murine genital tract in response to infection with Chlamydia trachomatis.. Infection and Immunity. 2002; 70: 1538-1546. Kelly, K.A. Gray, H. L. Walker, J. C. Rank, R. G. Wormley, F. L., Jr. Fidel, P. L., Jr. Chlamydia trachomatis infection does not enhance local cellular immunity against concurrent Candida vaginal infection. Infect Immun. 2001; 69(5): 3451-4. Butch, A. W. Kelly, K.A. Munshi, N. C. Dendritic cells derived from multiple myeloma patients efficiently internalize different classes of myeloma protein. Exp Hematol. 2001; 29(1): 85-92. Kelly K.A., Natarajan, S., Ruther, P., Wisse, A., Chang, M-H and Ault, K. Chlamydia trachomatis infection induces Mucosal Addressin Cell Adhesion Molecule-1 (MAdCAM-1) and CD106 providing and immunological link between the fallopian tube and other mucosal tissues.. J. Inf. Dis.. 2001; 184: 885-891. Kelly, K.A. Walker, J. C. Jameel, S. H. Gray, H. L. Rank, R. G. Differential regulation of CD4 lymphocyte recruitment between the upper and lower regions of the genital tract during Chlamydia trachomatis infection. Infect Immun. 2000; 68(3): 1519-28. Hawkins R.H., R.G. Rank and K.A. Kelly Expression of the mucosal homing receptor alpha-4/ beta-7 is associated with enhanced migration to the chlamydial infected murine genital mucosa in vivo.. Infection & Immunity 2000; 68: 5587-5594. Ojcius D.M., Y. Bravo, J.M. Kanellopoulos, R.A. Hawkins, K.A. Kelly, R.G. Rank and A. Daultry-Varsat Intracellular processing and presentation of chlamydial-derived antigens by dendritic cells.. Journal of Immunology. 1998; 160: 1297-1303. Kelly K.A. Modulation of leukocyte-endothelial interactions by infectious agents.. Bull. Inst. Pasteur 1997; 95: 147-159. Kelly K.A., E. Robinson, R.G. Rank Initial route of antigen administration alters the T cell cytokine profile produced in response to the mouse pneumonitis biovar of Chlamydia trachomatis.. Infection & Immunity. 1996; 64: 4976-83. Moniz, R.J. Chan, A.M., Gordon, L.K., Braun, J., Arditi, M., Kelly K.A. Plasmacytoid dendritic cells modulate non-protective T cell responses to genital infection by C. muridarum.. FEMS Immunol Med Microbiol. 2010; 58(3): 397-404. Shimazaki Kaori, Chan Ann M, Moniz Raymond J, Wadehra Madhuri, Nagy Agnes, Coulam Catherine P, Mareninov Sergey, Lepin Eric M, Wu Anna M, Kelly KAthleen A, Braun Jonathan, Gordon Lynn K Blockade of epithelial membrane protein 2 (EMP2) abrogates infection of Chlamydia muridarum murine genital infection model.. FEMS immunology and medical microbiology. 2009; 55(2): 240-9. Champion Cheryl I, Kickhoefer Valerie A, Liu Guangchao, Moniz Raymond J, Freed Amanda S, Bergmann Liisa L, Vaccari Dana, Raval-Fernandes Sujna, Chan Ann M, Rome Leonard H, Kelly KAthleen A A vault nanoparticle vaccine induces protective mucosal immunity.. PloS one. 2009; 4(4): e5409. Kickhoefer Valerie A, Han Muri, Raval-Fernandes Sujna, Poderycki Michael J, Moniz Raymond J, Vaccari Dana, Silvestry Mariena, Stewart Phoebe L, Kelly KAthleen A, Rome Leonard H Targeting vault nanoparticles to specific cell surface receptors.. ACS nano. 2009; 3(1): 27-36. Kelly KAthleen A, Butch Anthony W Antigen-specific immunoglobulin E+ B cells are preferentially localized within germinal centres.. Immunology. 2007; 120(3): 345-53. Ault, KA Kelly, KA Ruther, PE Izzo, AA Izzo, LS Sigar, IM Ramsey, KH Chlamydia trachomatis enhances the expression of matrix metalloproteinases in an in vitro model of the human fallopian tube infection.. American journal of obstetrics and gynecology. . 2002; 187(5): 1377-83. Kelly, K.A. Natarajan, S. Ruther, P. Wisse, A. Chang, M. H. Ault, K. A. Chlamydia trachomatis infection induces mucosal addressin cell adhesion molecule-1 and vascular cell adhesion molecule-1, providing an immunologic link between the fallopian tube and other mucosal tissues. J Infect Dis. 2001; 184(7): 885-91. Williams, DM Grubbs, BG Darville, T Kelly, K Rank, RG A role for interleukin-6 in host defense against murine Chlamydia trachomatis infection.. Infection and immunity. . 1998; 66(9): 4564-7. Kelly, KA Rank, RG Identification of homing receptors that mediate the recruitment of CD4 T cells to the genital tract following intravaginal infection with Chlamydia trachomatis.. Infection and immunity. . 1997; 65(12): 5198-208. Williams, DM Grubbs, BG Pack, E Kelly, K Rank, RG Humoral and cellular immunity in secondary infection due to murine Chlamydia trachomatis.. Infection and immunity. . 1997; 65(7): 2876-82. Williams, DM Grubbs, BG Kelly, K Pack, E Rank, RG Role of gamma-delta T cells in murine Chlamydia trachomatis infection.. Infection and immunity. . 1996; 64(9): 3916-9.